Import your data from Asana directly into Teamwork Projects. Import your data from Basecamp directly into Teamwork Projects. Export invoices directly from Teamwork Projects to your Blinksale account. Attach files to tasks in Teamwork Projects directly from your Box account. Add reported issues in BugDigger as tasks in Teamwork Projects. Track time on your Teamwork Projects tasks using Clockify. Attach files to tasks in Teamwork Projects directly from your Dropbox account. Create custom reports and charts in Easy Insight from projects, milestones and time tracking in Teamwork Projects. Track time on your Teamwork Projects tasks using Everhour. Export invoices directly from Teamwork Projects to your Freshbooks account. Create and assign tasks in Teamwork Projects directly from an email in Gmail. View your Teamwork Projects calendar events in Google Calendar. Create and assign tasks, compose messages and log time from any page in your browser. Create and assign tasks in Teamwork Projects directly from Google Docs. Attach files to tasks in Teamwork Projects directly from Google Drive. Create and assign tasks in Teamwork Projects directly from Google Sheets. Visualize, analyze and track your Teamwork Projects data with Grow. Track time and export invoices directly from Teamwork Projects to your Harvest account. Create projects, tasks, messages, milestones, events, and more in Teamwork Projects directly from HubSpot. Track time on your Teamwork Projects tasks using Hubstaff. Automatically update your daily digest in iDoneThis when you log time or complete a task in Teamwork Projects. Automatically create a task in Teamwork Projects to log bugs found using Instabug. Automate processes by connecting Teamwork Projects to other apps and services using Integromat. Live embed files from Invision into Teamwork Projects. 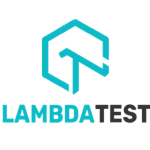 Log bugs to Teamwork Projects while performing cross-browser testing with LambdaTest. Import contacts and export proposals and their associated contacts from NiftyQuoter to Teamwork Projects. Attach files to tasks in Teamwork Projects directly from OneDrive. Attach files to tasks in Teamwork Projects directly from OneDrive for Business. Create tasks in Teamwork Projects directly from an email in Outlook. Track time on your Teamwork Projects tasks using PomoDone. Export invoices directly from Teamwork Projects to your QuickBooks account. Sync tasks in Teamwork Projects issues in Sentry. Attach files to tasks in Teamwork Projects directly from SharePoint. Sync your activity in Teamwork Projects with your updates in Status Hero. Create a task or task list in Teamwork Projects from a ticket in SupportBee. Connect Teamwork Projects to your Taco account. Sync projects, milestones, task lists and tasks in Teamwork Projects with activities in Salesforce. Automatically create and update tasks in Teamwork Projects when a test fails in TestLodge. Track time on your Teamwork Projects tasks using Time Doctor. Track time on your Teamwork Projects tasks using Timecamp. Import your data from Trello directly into Teamwork Projects. Import your data from Wrike directly into Teamwork Projects. Export invoices directly from Teamwork Projects to your Xero account. Report on open tasks, notebooks, and unread project messages in Teamwork Projects using Yoke. Sync calendar events between Teamwork Projects, Outlook and Google using Yoxel. Integrate Teamwork Projects with 1,000+ apps without writing a single line of code. Create and assign tasks in Teamwork Projects from a ticket in Zendesk. Visualize, analyze and track your Teamwork Projects data with Zoho Reports.